Hyundai's 2018 Accent won't have hatchback version in U.S.
Hyundai Accent hatchback will live on in Canada in 2018, not the U.S. The 2018 Hyundai Accent brings sophisticated exterior styling that's rare in the bargain-bin subcompact class. LOS ANGELES -- In a nod to the impending arrival of the new Kona crossover, Hyundai's fifth-generation Accent will drop its hatchback version when it goes on sale in the U.S. this fall, but that won’t be the case in Canada. The automaker is committed to offering Canadians a hatchback version of the vehicle. But it will be a while before it arrives in showrooms. 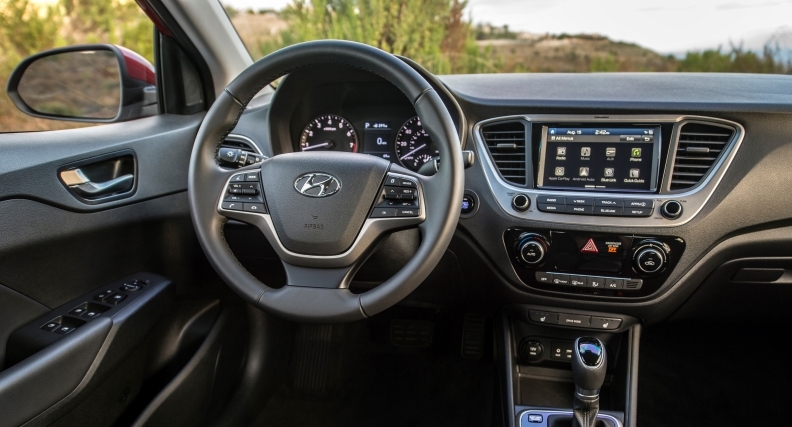 The Accent is Hyundai's subcompact, entry-level car, though it's technically classified as a compact car based on its interior space. The redesigned 2018 model was unveiled Thursday at the Orange County Auto Show in Southern California. Previous versions of the Accent came in sedan and hatchback body styles. While Hyundai will continue to offer the hatchback in other markets, including Canada, the brand axed it in the United States because of low demand at the retail level, a company spokesman told Automotive News. With U.S. consumers increasingly flocking to crossovers, Hyundai is hoping to steer them to the Kona, a subcompact crossover due in early 2018. Insulating it from intra-brand competition from an Accent hatch will likely boost higher-margin Kona sales. But that’s not the game plan in Canada, where both the Accent hatchback and Kona will be available. Meanwhile, the 2018 Accent sedan unveiled this week brings sophisticated exterior styling that's rare in the bargain-bin subcompact class. 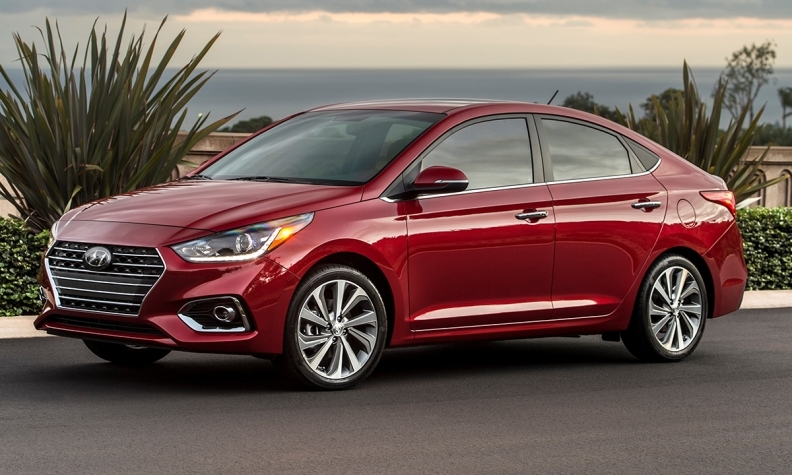 The design borrows many cues from the recently refreshed Sonata, shrunk down to subcompact proportions. The Accent sedan grows a bit for this generation; it's nominally longer, wider and has a longer wheelbase. Inside, this means more room: Hyundai says it has more cargo and passenger room than Toyota's Yaris iA and Ford's Fiesta. The Accent's upscale bent is reinforced by features inside and out. On the exterior, options include LED daytime running lights and taillights and 17-inch alloy wheels. Inside there's a standard five-inch touchscreen with backup camera (a seven-inch screen with Android Auto and Apple CarPlay is optional) and options like heated front seats, hands-free trunk release and pre-collision braking. The Accent's 1.6-litre four-cylinder engine carried over but is down a bit in power. It now makes 130 hp and 119 pounds-feet of torque; that's down from 137 hp and 123 pounds-feet. A six-speed manual transmission is standard while a six-speed automatic will be optional. Fuel economy scoots up a bit for both powertrain options; the 2018 manual gets 28 city, 37 highway and 31 combined, up by one mpg for city driving. The automatic gets 28/38/32, up from 26/36/30. Pricing will be announced closer to the car's on-sale date this fall.